Water System Interconnect – KC Engineering and Land Surveying, P.C. The Town of Wallkill is located in close proximity with two adjoining municipal water systems. During emergencies, the City of Middletown and the Village of Goshen share their water. KC, as the Town of Wallkill Engineer, located a suitable grant and successfully pursued the grant application, which provided a 25% grant with zero interest loan for the construction of municipal water interconnections. Upon receipt of the grant, KC worked closely with the Town in negotiations for an intermunicipal agreement between both the City and the Village, as well as assisted the Town with securing the required permits and approvals. The connection with the Village of Goshen was configured to allow water to be sourced at one municipality’s well field and treated at the others’ treatment plants, which are located in close proximity to each other. 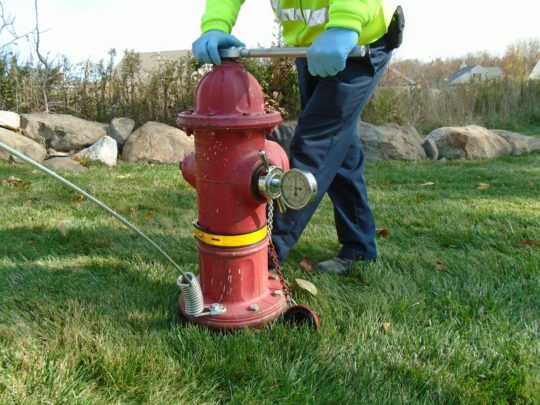 Two connections were made with the City of Middletown to feed the two zones in the City and three zones in the Town of Wallkill due to its proximity to the Town’s booster pump station.